Hello! 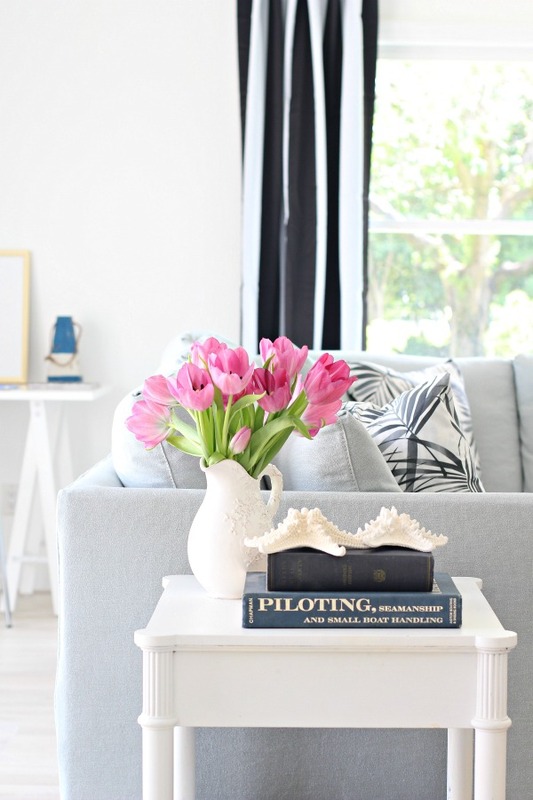 Blogger Stylin’ Home Tours Summer Edition is in full swing this week! 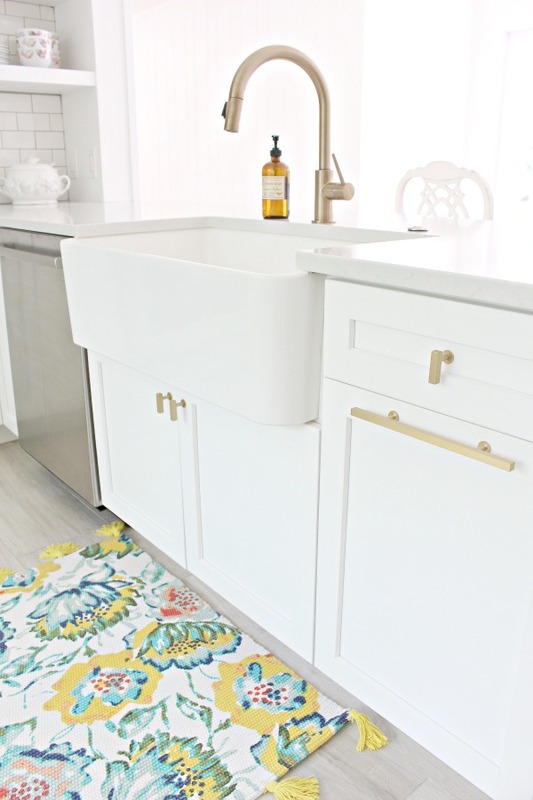 I’m so excited to once again be a part of this series of bloggers sharing their homes, organized by our fabulous host, Lindsay, at The White Buffalo Styling Co. If your’e stopping in from Craftberry Bush, welcome! 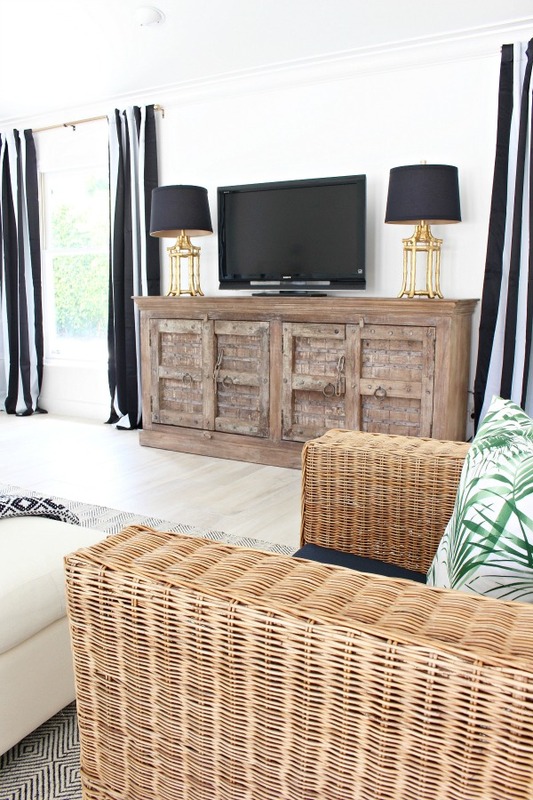 Today, I’m inviting you into our beach cottage which is our getaway home in the paradise of Naples, FL. 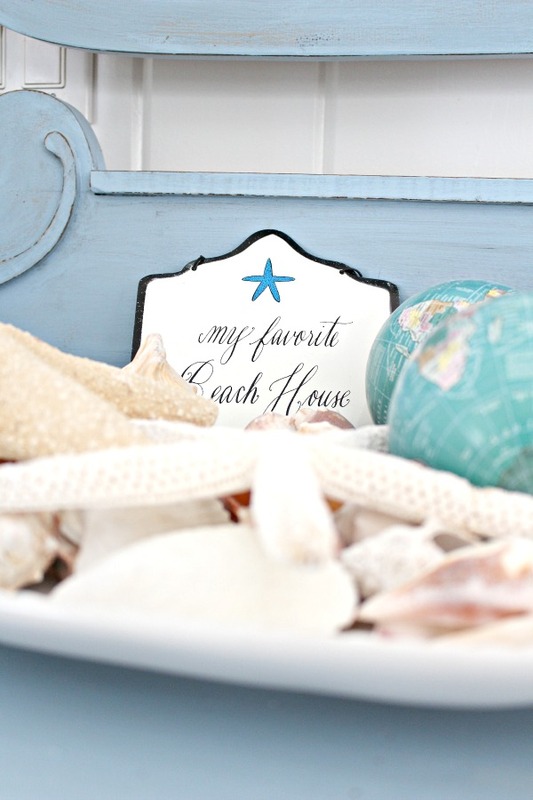 For all of you who have steadily followed along with our beach cottage renovation, I’m so happy you’re still with me! For those of you who are here for the first time, here’s a little intro. We bought this home eight years ago as a place to escape our Colorado life for extended vacation and to build beach memories with our three boys. 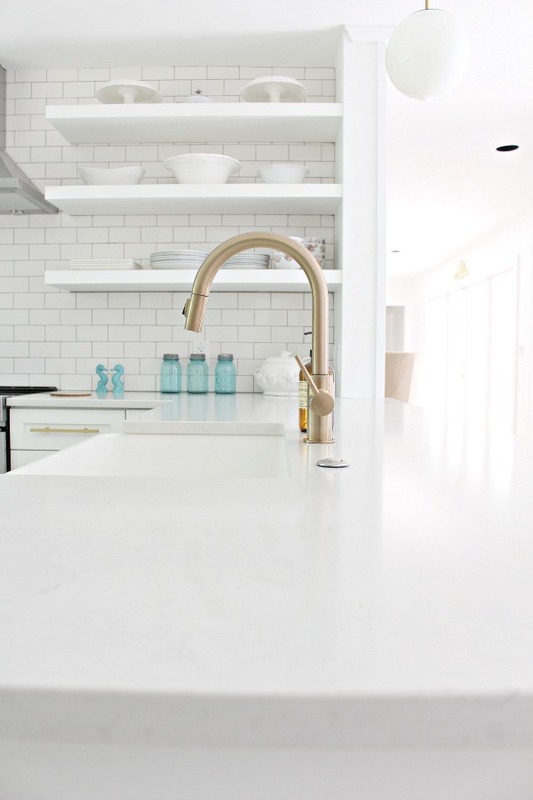 We’ve put a lot of work into this home including a whole house renovation that just wrapped up in December. Buying a 1960’s fixer definitely came with challenges but we look back at all of our memories here and feel so blessed to have this place. All the hard work has been worth it! 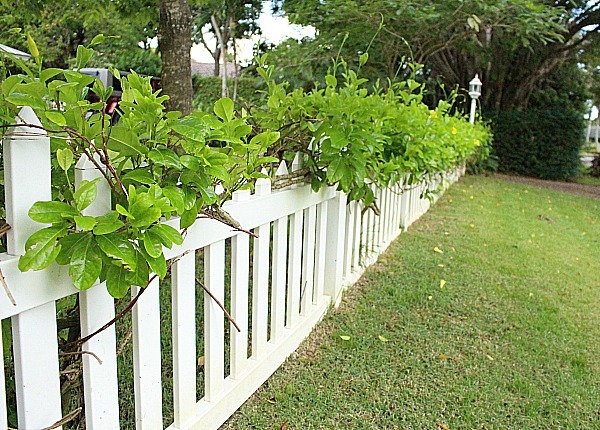 The white picket fence is what had me at “hello” when we first saw it. I remember telling my husband when we were house hunting that I just wanted a little, cute cottage. The market was saturated with homes for sale when we began our house hunt and we looked at 30+ homes. I knew from the moment I saw this one that it was the one. I call her my little treasure box. 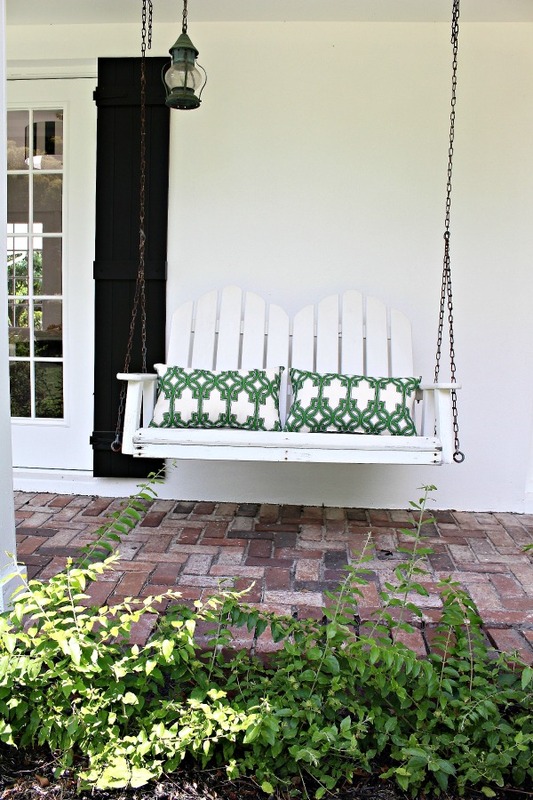 The white porch swing is one thing that is original to the home. 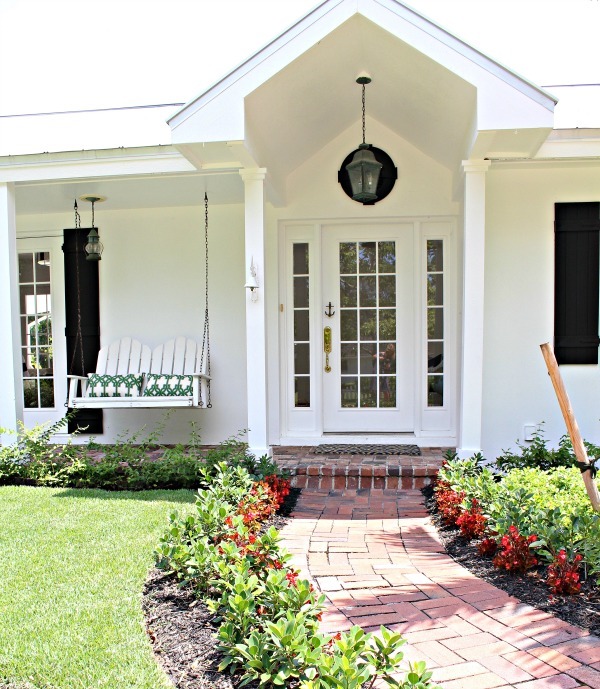 Countless summer evenings are spent here watching the boys throw the football around in the front yard and sipping on an evening glass of wine. Come on in, kick off your flip flops, wipe the sand off your feet (the beach is less than 1 mile down the road). It’s nice and cool in here thankfully because the summer months in southwest Florida are smokin’ hot and humid. The cottage has a collection of old, thrifted furniture from our first summer months here as well as some new furniture we’ve bought since the the major renovation. 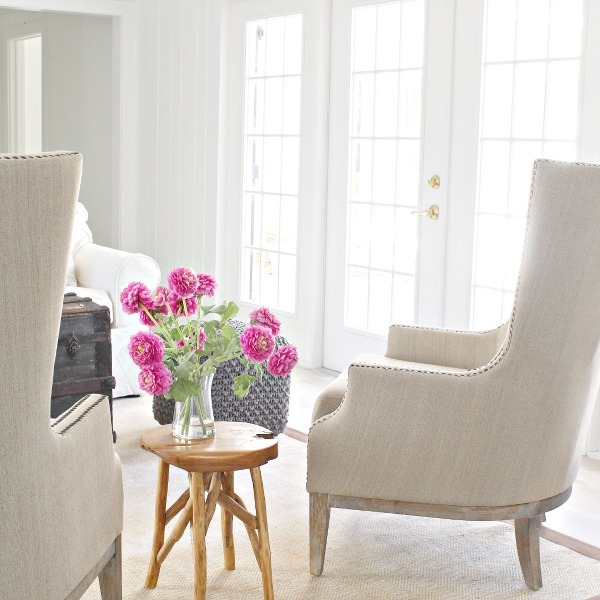 French doors abound throughout the house. Our living room opens to the front of the house and out to the swimming pool courtyard. 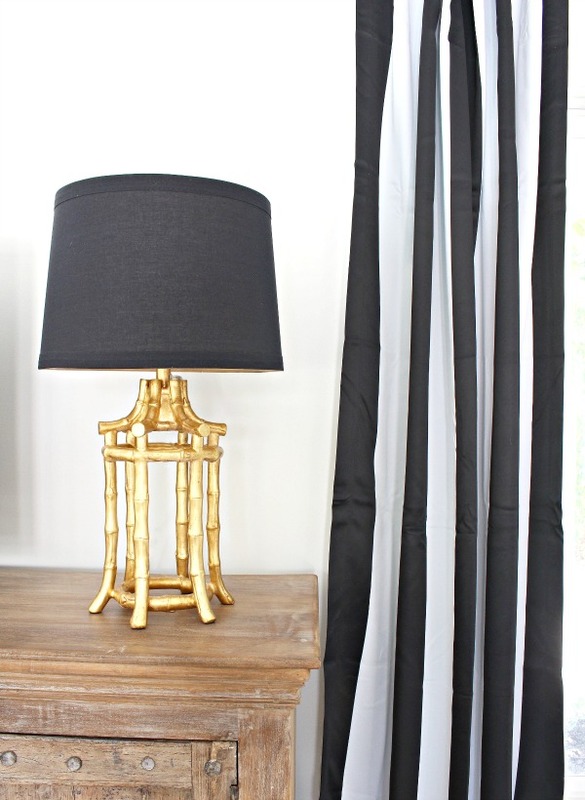 Sunshine pours into every room. The blue antique dresser was one of the first finds we scored when we bought the home. 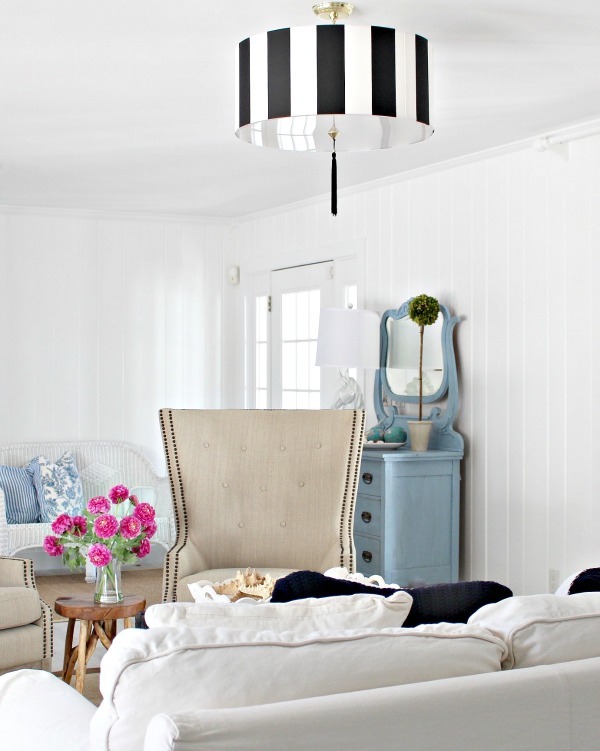 The black and white drum style chandelier reflects the black and white cabana style vibe of the home from the white exterior paint and black shutters to the cabana style drapes you’ll see in the family room. The dining room is more of a walk through from the pool courtyard into the kitchen. 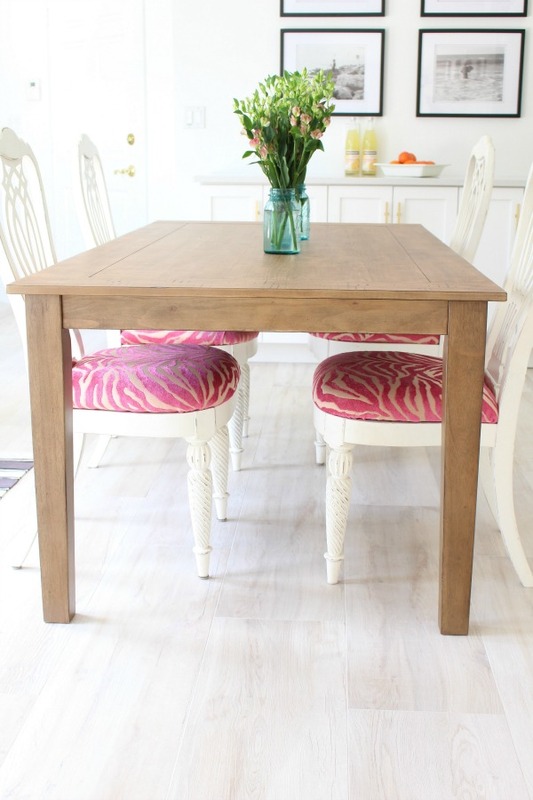 The dining chairs are old and chippy in parts but I gave them new life recently with this fun pink zebra print fabric from Hobby Lobby. 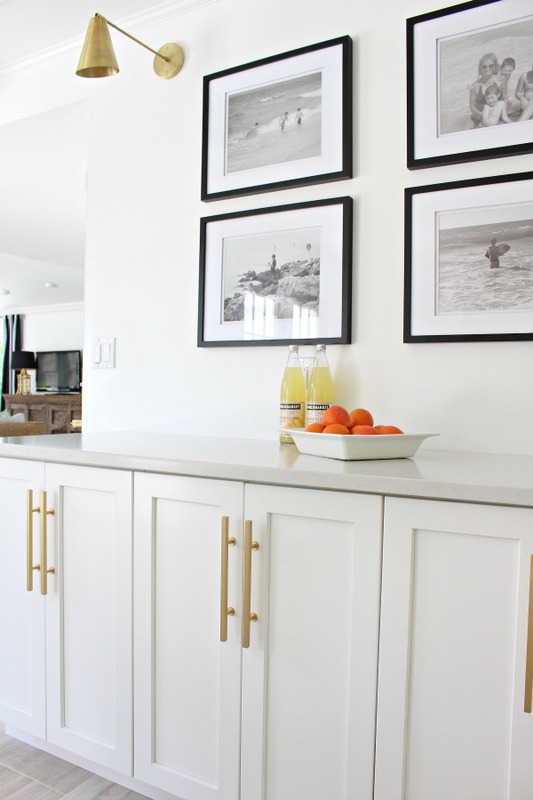 The black and white gallery wall is a walk down memory lane of the boys growing up vacationing here. They’ve grown so much over the years! The kitchen used to feel tight and enclosed before we knocked out a wall and gutted it to the studs (what it looked like before). 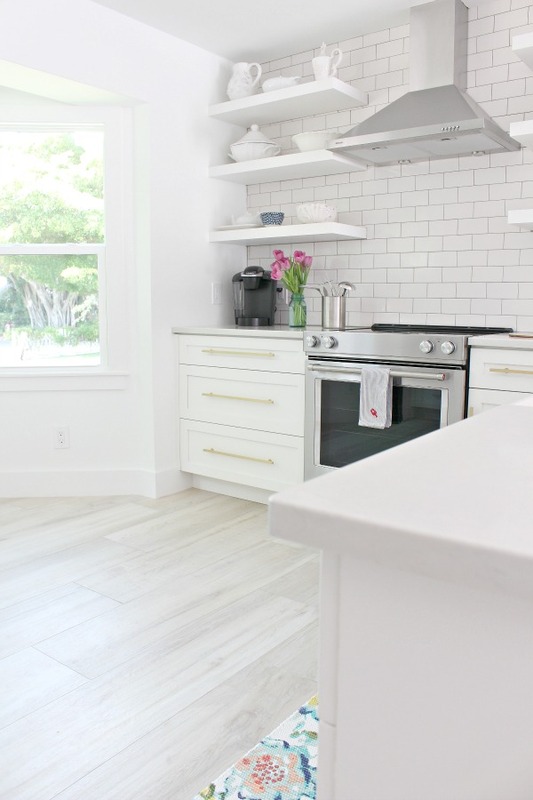 The open, airy feel is so nice to walk into every morning for my first cup of coffee. 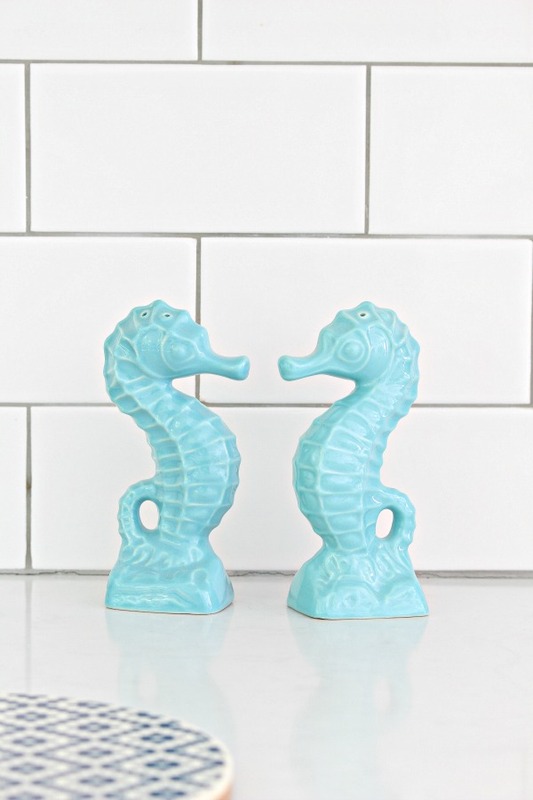 The seahorses were a housewarming gift to me from my mom when we bought the cottage. 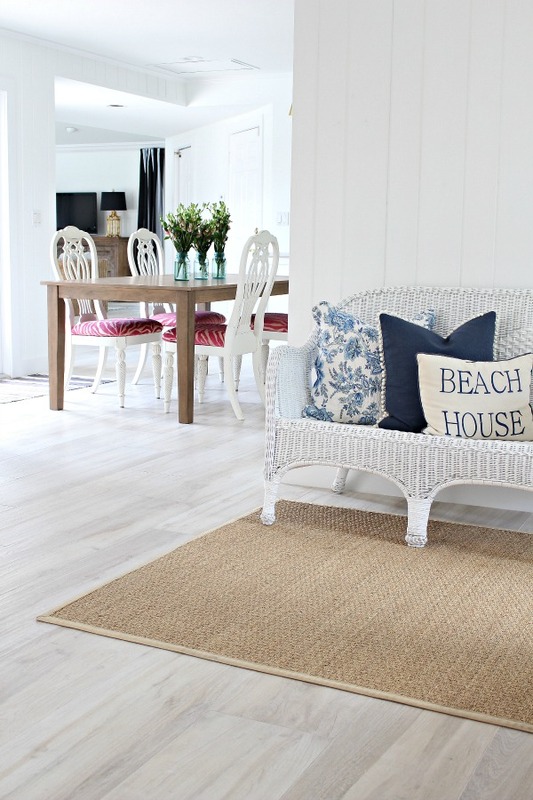 The family room is the hang out spot after a long day at the beach. It’s come a long way from what it looked like a few months ago. White paint does wonders, especially when the previous color was banana yellow. Yikes! 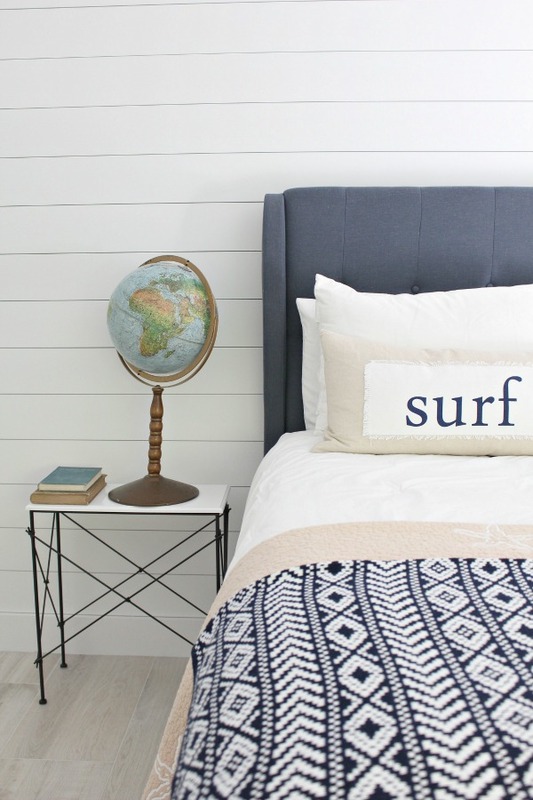 One of our boys’ bedrooms, surf style. There used to be a granny explosion of wallpaper in here before. 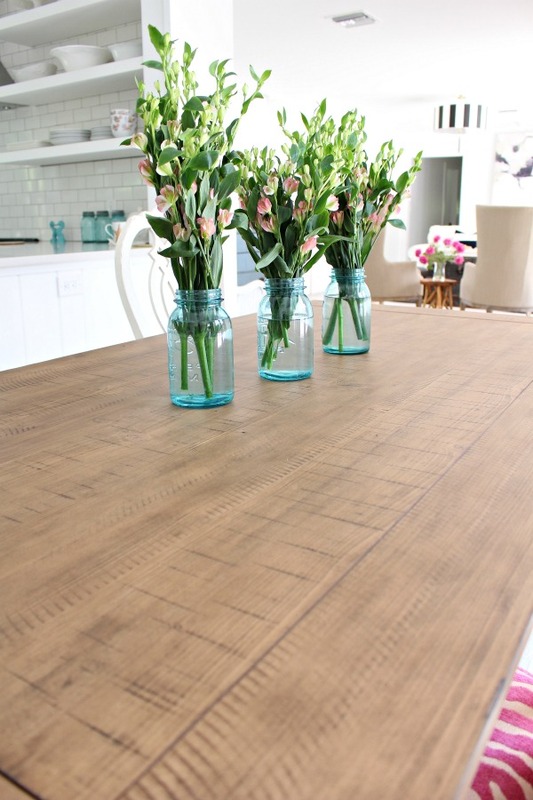 Let’s just say thank goodness for good ol’ shiplap. 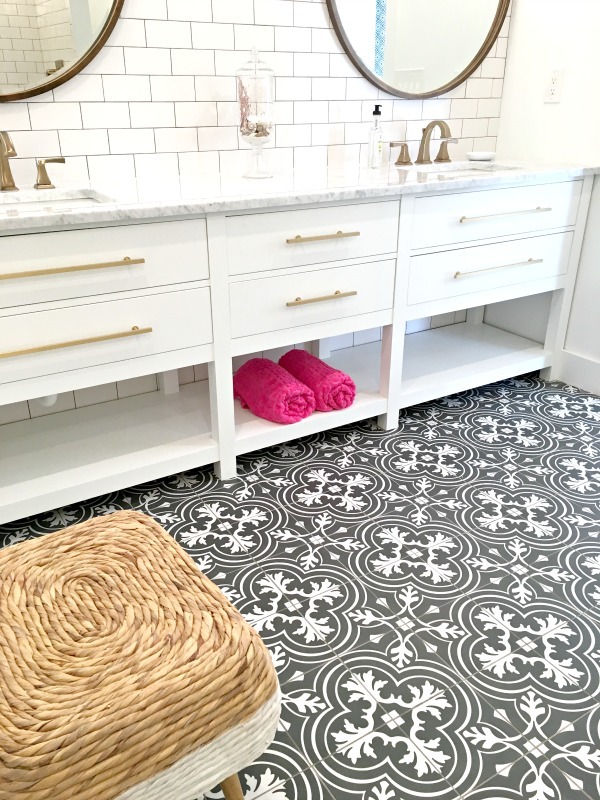 The Master Bath, another extreme makeover, features the vintage style cement tiles that set the tone for the whole design scheme. Love them so much. I have plans to freshen up the pool area this summer with some new patio furniture…OR, I just may hang out on that pink flamingo and sip sangria. 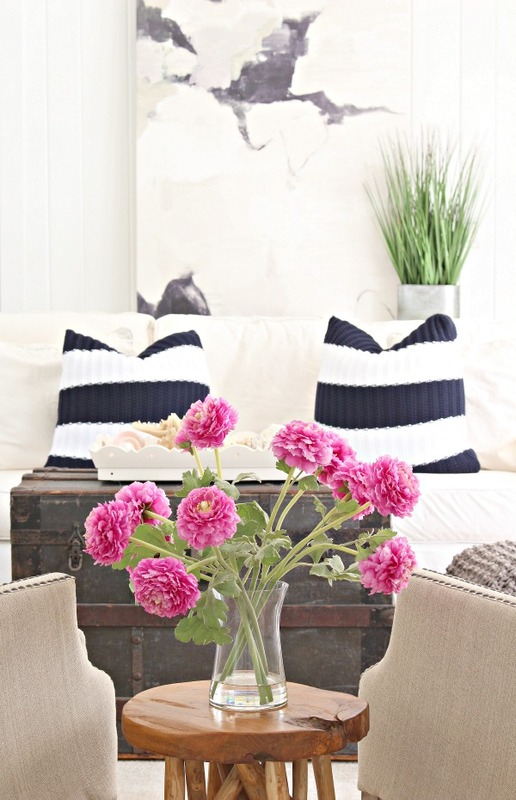 Thank you for joining me today for the Blogger Stylin’ Home Tours Summer Edition. In case you missed the summer tour of my Colorado home I shared earlier this week, be sure to check it out HERE! Two homes, two very different styles. Next stop on the tour is Gwen’s home at The Makerista! 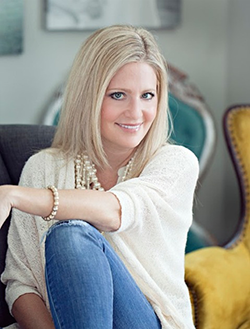 She is one of my favorite bloggers and her home is always intriguing me with her design style. WOW! such a dreamy space to escape, too! that last image with the flamingo float is inviting me in to play! Thank you Kim! Happy Summer! Thank you Lucy! Happy summer! Thank you sweet Jen! I can hardly wait to get back there! So gorgeous Shauna, every single detail! Thanks Bree! Can’t wait to have you back as a guest at the cottage!